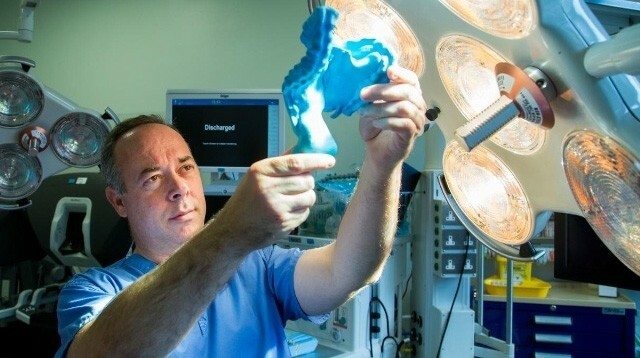 University of Limerick scientists believe the mesentery, a double-layered sheet of abdominal connective tissue, should be classified as an organ, according to a recent article in The Lancet gastroenterology and hepatology journal. After extensive research, they reveal they already have reason to believe the mesentery plays a role in many gut diseases—and that further research into the tissue could provide pivotal information on how to treat them. The Irish researchers believe the mesentery had long been ignored because important medical texts (including Gray’s Anatomy) had mistakenly described it as a disjointed ribbon, a piece of anatomy that only existed some of the time. "The anatomic description that had been laid down over 100 years of anatomy was incorrect. This organ is far from fragmented and complex," study author and surgeon J. Calvin Coffey (pictured above) said in a statement. "It is simply one continuous structure." The belief that it was not one piece was what originally disqualified it from classification as an organ. Coffey told The Independent, the outlet that picked up the November news, establishing the tissue as an organ is incredibly important: "When we approach it like every other organ… we can categorize abdominal disease in terms of this organ. Now we have established anatomy and the structure. The next step is the function. If you understand the function you can identify abnormal function, and then you have disease. Put them all together and you have the field of mesenteric science." The Independent also reports med students are already being taught about the change and that Gray’s Anatomy now reflects the new information as well, though Coffey said he’s unsure "who the final arbiter of" deciding what is officially an organ is. According to Discover Magazine, the mesentery serves as a belt, holding intestines in place. It begins at the pancreas and loops around the small and large intestines, securing their structure. Coffey believes it is necessary to live and that there’s never been a human without one. The recognition of the mesentery provides hope for research and treatment of incurable digestive diseases like Crohn’s disease, the Washington Post notes. The mesentery, when officially reclassified, will be the 79th recognized organ in the human body.